Super trendy and modern cube lamp creates unique drama of shadows and light onto the walls. 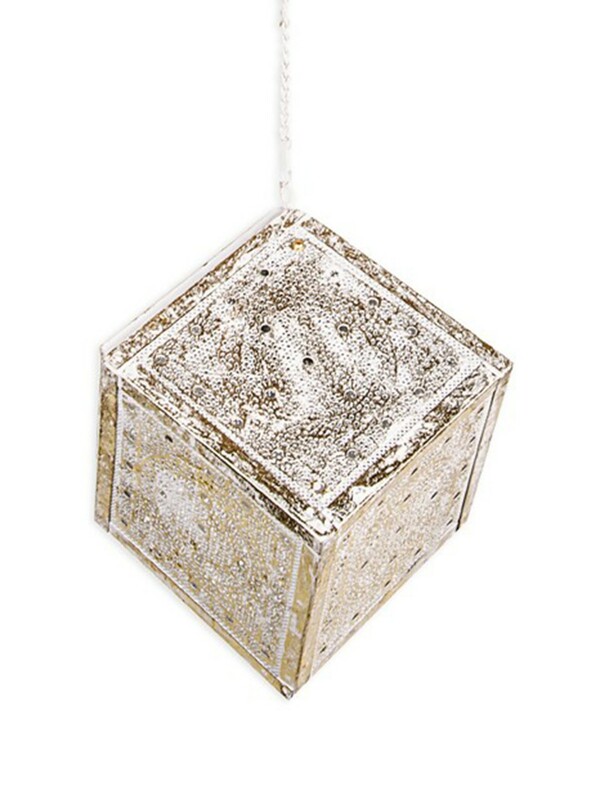 This sunning lamp features finely cut pattern and a radiant golden leafing on white cube. Use this versatile lamp as a table lamp or place it in a corner of your room for a dramatic effect.